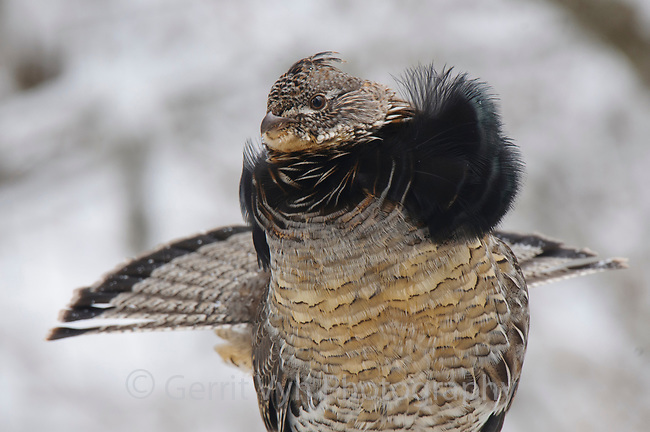 Male Ruffed Grouse (Bonasa umbellus) with partially erect neck "ruff". The ruff is most often displayed once a female has been attracted by the males drumming and is present. Okanogan County, Washington. April.